Colourliving, a distinctive concept lifestyle store that brings together meticulously selected European home furniture, fittings, and lifestyle products, has tasked Lim + Lu to redesign the sanitary showroom of their flagship store in Hong Kong’s Wan Chai district. In today’s consumer driven society, choices are plentiful. As a result, retailers often resort to the quantity over quality model. A common strategy from retailers selling sanitary ware is to display as many products as they possibly can in the limited space they have. This cannot be truer in Hong Kong, where land is scarce and real estate is expensive. This often creates an overwhelming sensation for the consumer as these products lined side by side start to lose their individual characteristics. Lim + Lu’s objective from the onset was to reimagine the retail experience and to provide a new perspective to consumers. The result is seven unique bathroom scenarios showcasing a myriad of fittings, materials, colors, and styles. 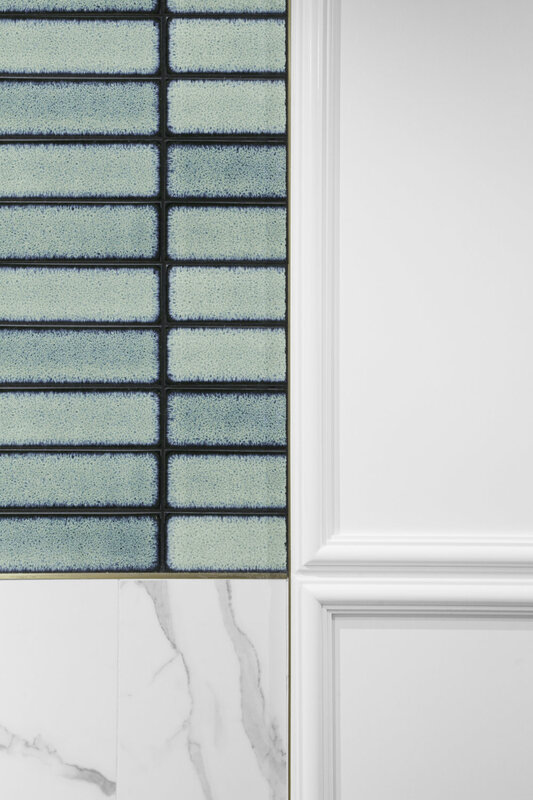 The design offers seven bathroom vignettes befitting each shopper’s unique personality, helping them envision the products in a real-life situation as well as offering inspiration. Lim + Lu wanted to craft an in-person shopping catalogue experience, where everything within the consumer’s field of vision can be purchased. In order to realize this vision, Lim + Lu combed through Colourliving’s entire inventory of building materials, finishes, sanitary wares, fittings, accessories, and lighting. As a result, Lim+Lu created a comprehensive showcase of products that Colourliving offers, everything that one sees can be purchased; from the bathroom fixtures, to the scented diffusers, to the ceramic tiles on the wall, or even the bathrobe hanging on the hook and the hook itself. 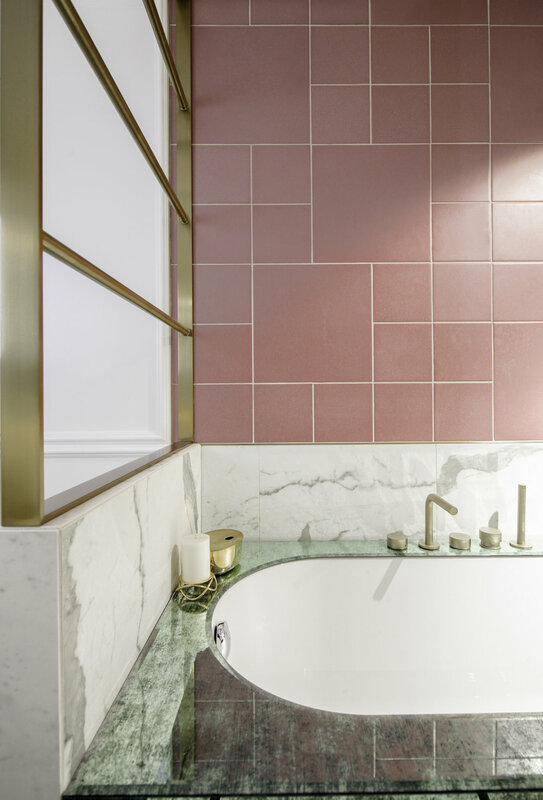 Different materials and colour palettes were used for each setting- ranging from a neo-classical blue scenery to a fully concrete area with skylight to bring in natural lighting, to more playful pink/green/gold hues. Bathrooms are often overlooked in Hong Kong. Clients commonly opt to spend on their living room, dining room, and bedroom. However, bathing and cleansing are such important components of our wellness and lifestyle, we hope by creating beautiful bathroom spaces, we can help inspire others to do the same.